Your next decorating element might be hiding just below your nose. 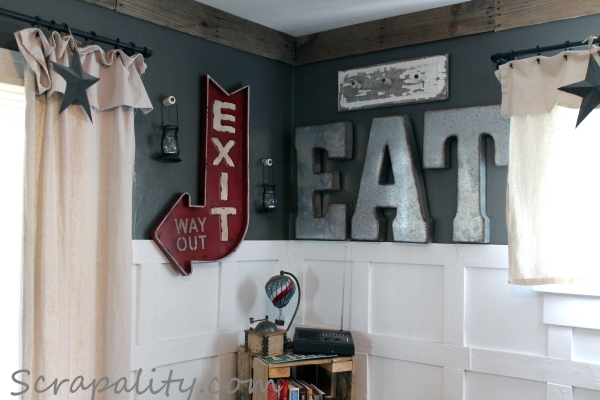 A few weeks ago, I shared the hutch makeover and a new wall color. I’m super happy with the new color even though it wasn’t the color I meant to purchase. That’s a whole story in it’s self. Maybe I’ll share that another day. Anyways, the grey gives the room a cozier feeling then the bright white/blue paint I previously had. My home was built in 1920. Back then they used small white ceramic insulators when wiring a house. Lucky for me, the people that rewired my house didn’t remove all of the old wiring out of the basement. Most of the old wires have been removed, but they left the old ceramic insultors. I grabbed a hammer and started pulling those beauties out of the ceiling. I stored them in a box till I found just the right project. 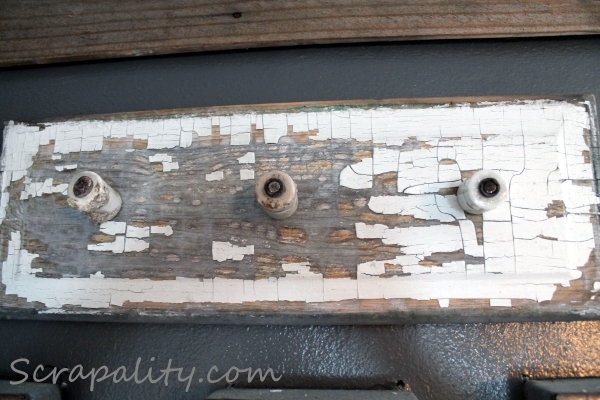 Using the original nails, I pounded three of the insulators into an old chippy-paint panel left from the old rugged backdoor that graced our back porch when we bought the house. 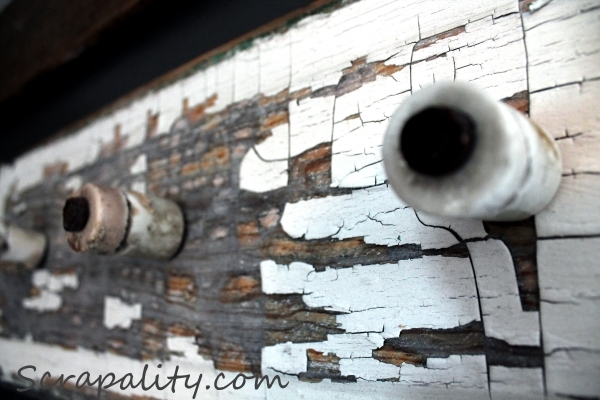 The chippy-paint door panel and the insulators have a new purpose. Do you love the look of insulators? What would you use them for if you had a set? Drop me a comment below. This post was shared with some of my favortie parties. 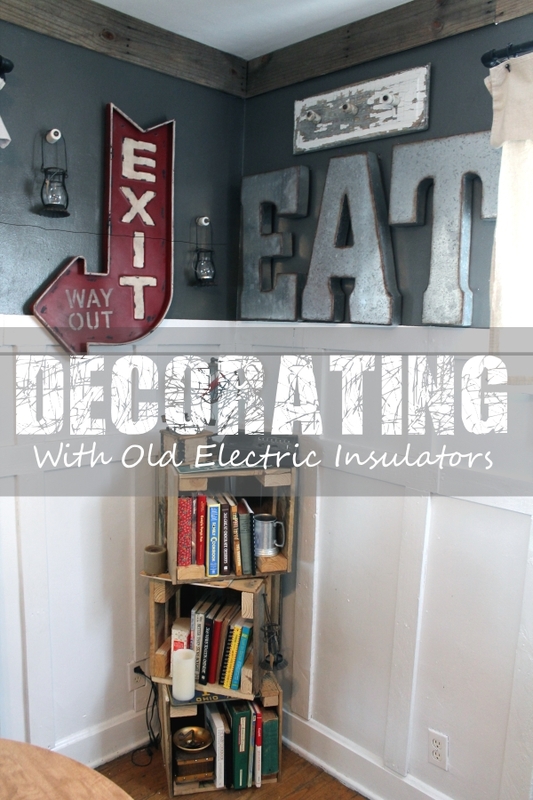 What a great way to repurpose both the insulators and the old wood. I love that colletion of items on the wall. Loved how you used them together on the wood, but I really like the lanterns hanging off of them. The entire wall looks great and it’s always nice when you can incorporate some of the history of the home in decor. What a cute corner! Love that white trim! The chippy paint and insulators are great together too! Thank you so much Andrea for sharing this pin on the P3 party Board! We loved it and it will be featured on the blog and my social media tomorrow! So look for a little traffic from me! This is so super cute!!! I love everything about this little corner. What a cute and unique decorating idea. I love the lanterns hanging off the insulators on the opposite wall too! Thanks. I actually picked the little lanterns up last year at a yard sale for practically nothing. Thanks for stopping by. These are the coolest things ever!! I am so glad you found them. So many people would have tossed them in the garbage but you are brilliant and saved them. I am in love with your entire space! Thank you so much! I’m so glad I saved them. Thank you so much! I was like a kid in a candy store when I found them. Thanks so much. Glad to have you. What a great find! It sounds like you’ve found a lot of great goodies in your home. 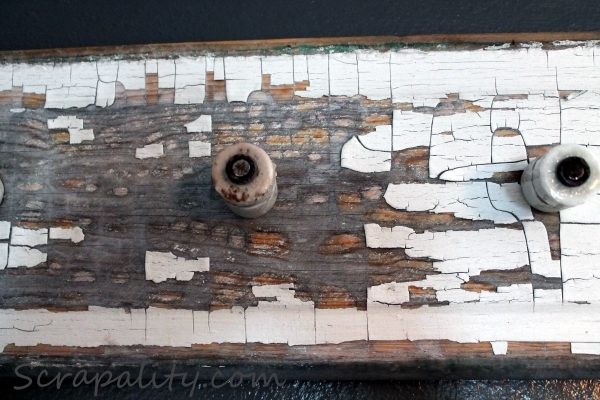 I love the way it turned out – perfect patina! I see that you’re doing the 31 days challenge!! What a fun topic! I’ll definitely be following along. I think I’m going to do the challenge, too, but I just need to decide on my topic! I’m so excited about this year’s topic. I’ve waited all year. Love the old insulators and what you did with them! Works perfectly in your corner. I have an exit sign like that coming out of our theater room. Thanks for sharing with SYC. Thank you. I had to have the exit sign as soon as I seen it at Hobby Lobby. It’s the coolest. Thanks for the invite. I’ll put it on my to do list. What a cute idea! I’m going to have to look for these at the antiques show next week. Thanks, they’re a really awesome touch. Awesome, I wrote it on my list. See you then!